My college daughter is studying this fall at Kansai University, so I get to travel 2 weeks with her prior to the semester starting. We hike and run a lot, nothing technical here in Colorado. Climbing Mount Fuji is definitely on our itinerary. I wanted to explore the Kii Peninsula area on the pilgrimage trails after staying in Koya-San Buddhist temple. But my daughter thought we could get a bit more time in the Japanese Alps. I am fascinated by Ontake-san, but wondering how to get there by train or bus from Fuji area and if even possible. We will start our trip in Tokyo 2 nights and planned to head to Kawaguchiko 2 nights with day hike up and down Fuji on Yoshida trail from 5th Station. We'd like a couple nights in Kyoto, 1 in Koyasan, 1 around Kii peninsula at least before she reports to Kansai University between Nara and Kyoto I think. Don't want to waste time on trains to turn right around, wondering if you have advice for another epic hike for us. I just don't know if heading to Nagano area is feasible and then head to Kyoto. I'm trying to figure out the trains and bus options. ​Kim, that sounds like a lot of territory to cover in just 2 weeks, but I guess it all depends on how much time you choose to spend in each area and how lucky you get with train/bus connections. 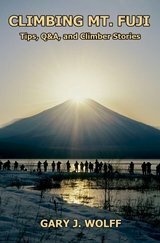 If you use Facebook, probably one of your best information s​​ources will be to join and then post your question in the "Hiking in Japan" group. Wes Lang, the nice gentleman who started & manages the group, lives in Kansai, so can probably give you some better advice for hikes in that area. And members post there regularly of their experiences on various pilgrimage routes.